Best Mobile Car Wash in Wigan ? Located in Wigan, we truly believe you deserve only the very best service at all times – after all, that’s what you’re paying for and expect. 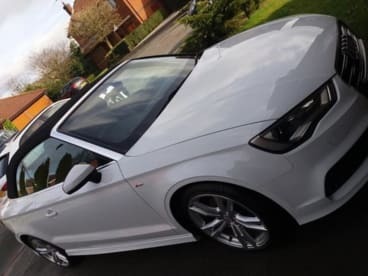 And our customers have described us as "the best in Wigan" At Clear & Shine Car Valeting, we provide a convenient service so that as you carry on with your day to day life, we get on with the cleaning, so drop us a line on 07378126332 today! 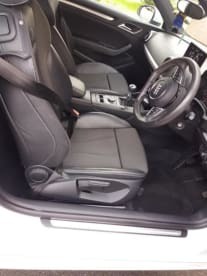 We are a mobile vehicle wash and valeting company and our company’s mission is to provide you with nothing less than a first class service that you can truly rely on. Only electricity supply required. Our reputation depends on our high-quality workmanship and satisfied customers – we take our work very seriously indeed. Want to see your car dazzle like it's brand new? Choose us. No matter where you are, we strive to provide the very best in service and satisfaction, leaving your car in pristine condition every single time. From providing regular cleaning to more specialised polishing, interior cleaning, upholstery cleaning, and more, no task is too difficult for us. There’s a reason our regular customer base is growing month after month. Let us help your vehicle gleam. Professional. All our staff should be polite and respectful to customers, their vehicle and their property. Affordable. 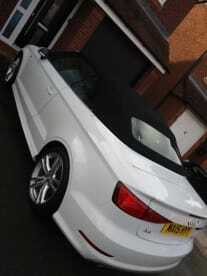 We have prices to suit all on a range of valets. Something for everyone. All our prices are listed here. Reliable. We aim to be with you within 30 minutes of the time given to you. This could be 30 min before or later. We should contact you if this is going to be different. All prices stated here are based on standard cars in Wigan. Other vehicles and locations may be extra. Whilst we do our best to stick to the times we give, sometimes delays happen. This could be traffic or even the state of prior vehicles, for this reason some appointments may be subject to delay or even cancellation. We will always contact you, whatever the outcome. Some of our services are weather dependant. We have a high standard, and this standard cannot be met in certain weather conditions. Again, we will contact you and always keep you informed. Some upholstery may need more than one visit. Some stains may not remove. Whilst we will always do our best with seats, we cannot guarantee they will come up like new. We only use clean cloths on every vehicle. Unlike some drive in car washes that use the same cloths all day, we will never use a cloth on your vehicle that has already been used that day. All our cloths and towels and washed nightly so we guarantee to be using clean cloths for your vehicle only. We require 24 hour notice if you do not wish us to use a power wash system on your vehicle. We will not take our car to anywhere else now. We see Chris every 4/5 weeks and are always happy with the end result. Very professional in both his work and his manner. Car cleaned onsite at work and did a fab job. Would highly recommend and definitely worth the money! Please note that Clear & Shine Car Valeting may not be able to honour booking requests made.